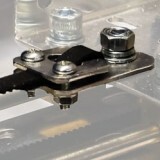 Open Length Neoprene Timing Belt in MXL and 3mm HTD pitches, and matching Aluminium Belt Clamps. 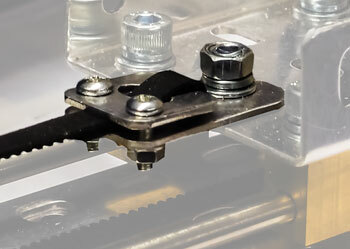 These are commonly used where a synchronous, linear drive is required. 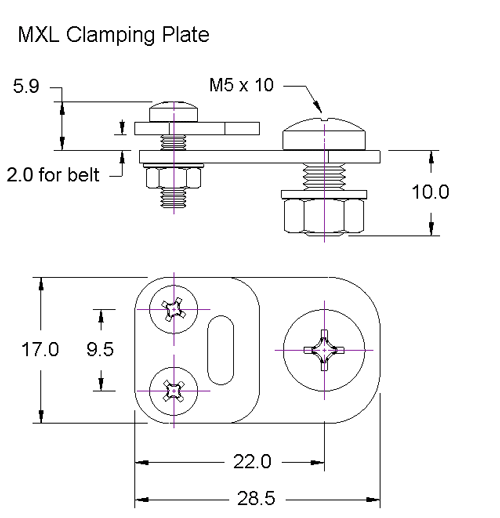 Typical applications: XY tables, agitators, linear motion/positioning/transfer systems. 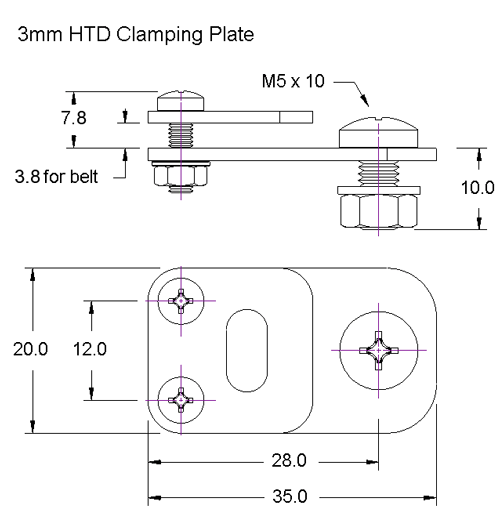 Select from our range of Open Length Belts and Clamps below. 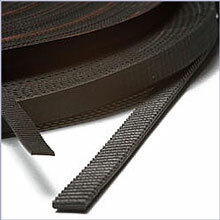 Open Length 3mm HTD belt, 9mm wide. 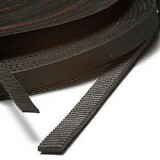 The unit for this part is per metre ..
Open Length MXL belt, 6.35mm (0.25") wide. The unit for this part is per metre ..
3mm HTD Clamping Plate for Open Length Belt. 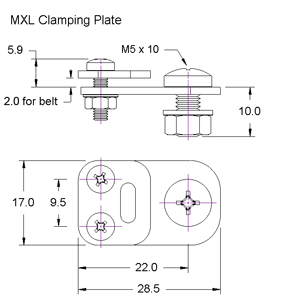 ..
MXL Clamping Plate for Open Length Belt. ..